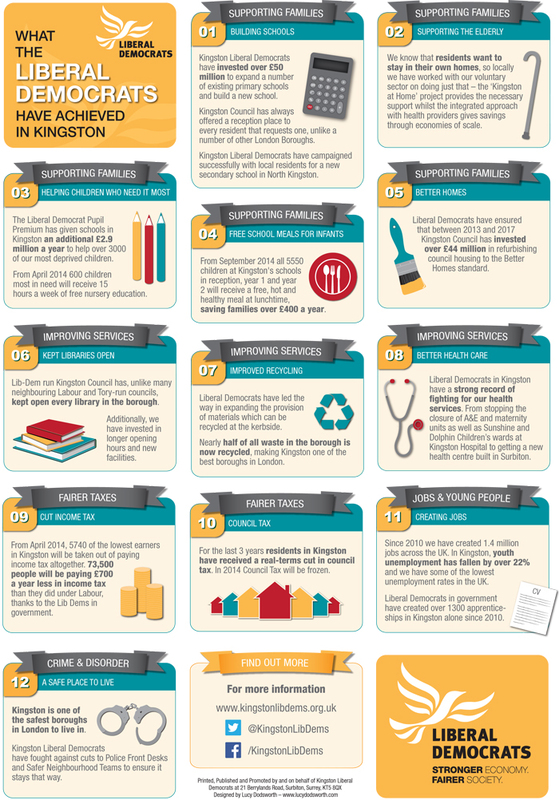 Design of an A3 infographic for the Kingston Liberal Democrats to show the local council’s achievements over the last year. The brief was to get a lot of information across in a clear and eye-catching way, using the party’s colours and fonts. The council were very happy with the results and commissioned me to do a matching leaflet to be distributed to local residents.